Home / Blogs / Does File Size Matter? Bigger is always better, right? Not when file storage is limited, and additional storage requires budget approval. This is where a tradeoff needs to be made between quality and file size when attachments are being uploaded. The quality of a file and the file size are proportional, so as the quality increases so does the size of the file. When scanning documents and uploading them you should be considering how much you can lower the quality of the scan, yet still, have a usable attachment. Most systems come equipped with a limited amount of free file storage, and the Salesforce platform is no exception. As additional storage will cost extra, it is wise to consider the total amount of storage you plan to use and what that equates to in relation to your file sizes. For example, if you were scanning documents at maximum quality, this could produce a 10MB file. However, if you decided to reduce the quality by optimizing the scan process, the file size can be reduced to 20KB. Now consider the fact that the 10MB and 20KB files are good quality scans and the document is clear and easy to read in both cases. Now if you had unlimited storage, you might decide to continue scanning high-quality documents at 10MB per document. However, where storage is limited and additional storage is costly then the 20KB file is the smart choice. 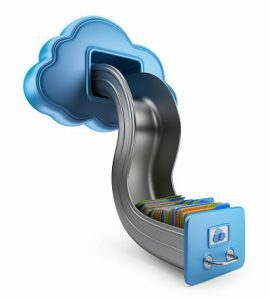 When you sign up to Salesforce to use the ClaimVantage software solutions, you would typically get 10GB of file storage. So in this case, if you were to use the 10MB file you would be able to upload 10,000 scans before running out of space. But, if you use the 20KB file, then you would be able to upload 500,000 files, that’s 50 times more files! Being able to upload 500,000 versus 10,000 before having to purchase more storage, would have significant cost savings. Assuming you receive 100 documents a day, if you scan and store each document as a 10MB file, you would need to purchase 500MB additional storage every 100 days. However, optimizing your document scanning process would allow you to store more 20KB files, and you wouldn’t need to purchase additional storage for 5,000 days. Do you want to be purchasing additional file storage 3 times a year or every 13 years? The choice is yours, so scan your files wisely.